Seriously? OMG! WTF?Nathan Fillion Archives - Seriously? OMG! WTF? There is a lot of buzzing on the set of The Rookie today and it is not about the show possibly getting a second season. Instead, it is all about Nathan Fillion and Eric Winter shaving their stubble so that they are fresh faced for the police dramedy. They look so good, how can ABC not bring the show back for another year? Last month, ABC only asked A Million Little Things for four more episodes, and today The Rookie found out how many more episodes they want from the police dramedy. The Nathan Fillion starrer was asked to do another seven more bringing their total to 20. Two less than a normal, but close enough. 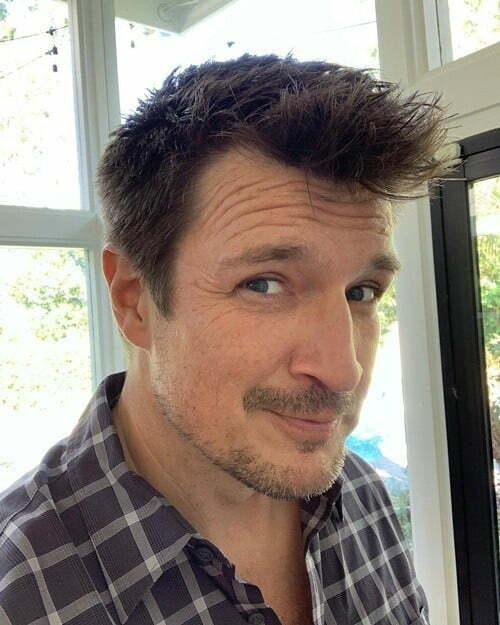 Which is a good thing because the more Nathan Fillion, the better. Before Nathan Fillion was newbie cop on The Rookie, he was a Master Warrant Officer in Ordeal in the Attic. He looks the same now as he did when he was 21 in that 1993 movie. Before Nathan Fillion earned his wealth from being an author on Castle, he did it by owning a casion on Outer Limits. He looks the same now as he did when he was in 28 in that 1999 episode.